On May 14, the nation of Thailand initiated a new law which makes the trading of cryptocurrencies a crime if the investors and subsequent exchanges are not registered with financial authorities. 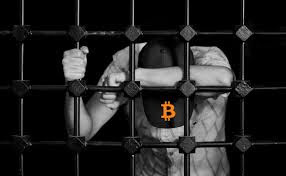 Citing a Royal Decree that cryptocurrencies are securities rather than currencies, all unregistered transactions of cryptocurrencies and ICO's could face both fines and jail time for their trades. Thailand put a new law in place on Monday (May 14) to control and regulate cryptocurrency transactions and Initial Coins Offerings (ICOs). The country enacted a royal decree which stipulates that cryptocurrencies and digital tokens are digital assets. Thailand's Security Exchange Commission (SEC) will be in charge of overseeing and regulating all cryptocurrency transactions and verifying the identity of clients.